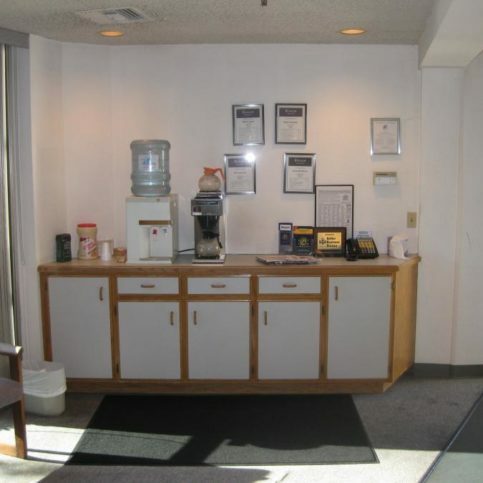 It's an incredibly high quality and honest place to get your car serviced. I like that they're very upfront and I never worry about them doing unnecessary repairs. I've been working with them for over twenty years. My family has been going to them for as long as I can remember. We feel like we can trust them. They're very easy, very honest, and very nice. I like how honest they are. 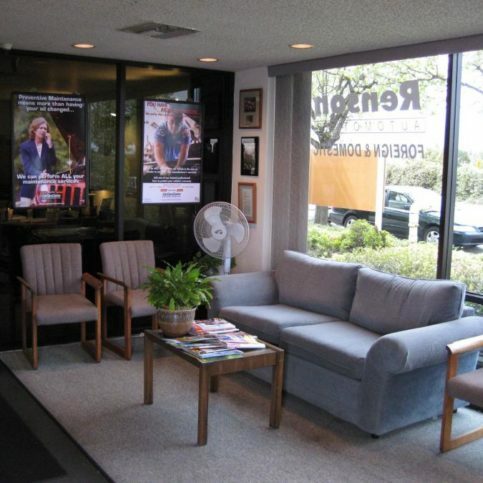 Renson Automotive, Inc. offers a variety of repair services to Santa Clara County drivers, including smog tests, brake systems, fuel injections, engine and computer systems, steering and suspensions, air conditioning, clutch adjustment and replacement, cooling systems, engines and transmissions, and electrical systems. 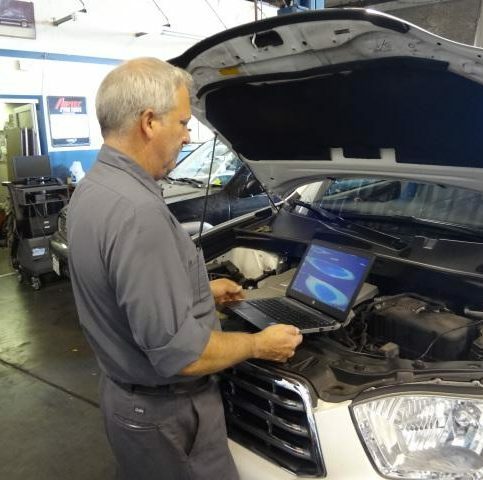 It specializes in using state-of-the-art diagnostic equipment to perform accurate assessments of any system within a car. President Bill Faulconer has been in the automotive industry since 1977 and took over operations of Renson Automotive in 1986. Mr. Faulconer has completed many customer service and automotive business courses, and he says he’s dedicated to providing quality workmanship and unmatched customer service. Renson Automotive maintains a comprehensive database of manufacturers’ service requirements, which it refers to when performing services based on vehicle mileage. 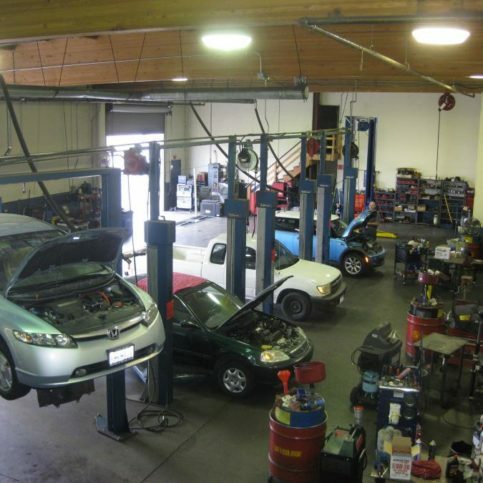 The shop is also AAA-approved and a member of the Automotive Service Councils of California. 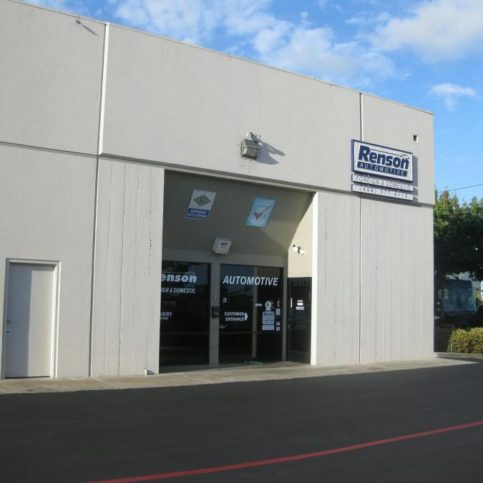 DIAMOND CERTIFIED RESEARCHED CAPABILITIES ON Renson Automotive, Inc.
Company Name: Renson Automotive, Inc.
Areas Served: Serving all of Santa Clara County including Milpitas, San Jose, Sunnyvale, Santa Clara, Mountain View, Palo Alto, Cupertino, Los Altos and Gilroy. 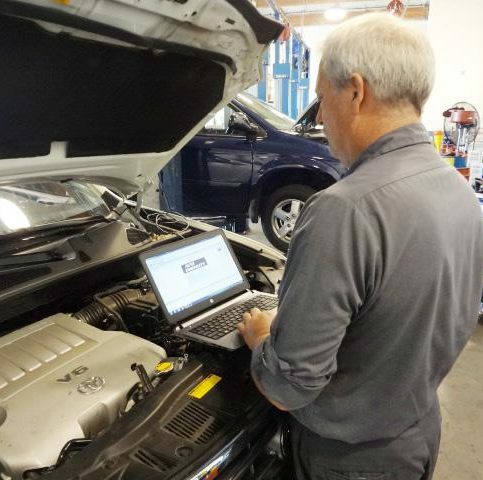 DIAMOND CERTIFIED RESEARCHED ARTICLES ON Renson Automotive, Inc.
President Bill Faulconer performs a computer diagnostic test on a customer’s vehicle. 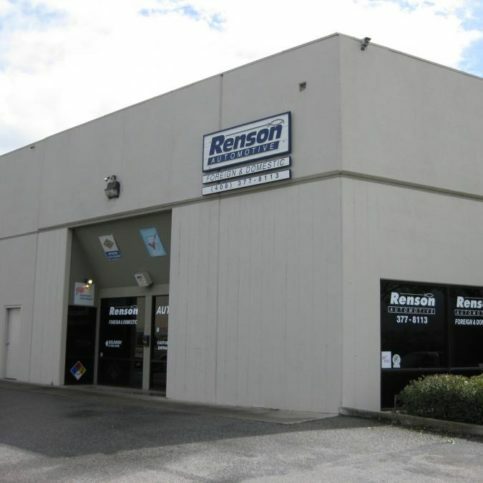 Renson Automotive has been repairing and maintaining all types of domestic and foreign cars at its Campbell facility since 1976, working on everything from brakes, engines and transmissions to fuel injection systems, suspensions and electrical systems. 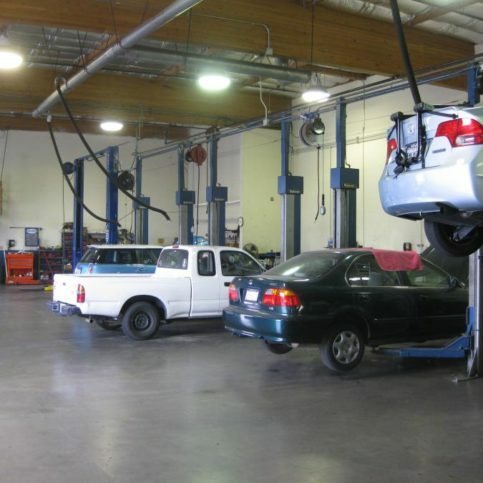 The company is also licensed to perform smog tests, and it can even diagnose and repair emission systems that are tested by other shops. When it comes to brakes, Mr. Faulconer recommends having them checked as part of your regular service schedule or whenever there are indications that they aren’t working properly. If you hear a squealing noise when you apply your brakes, that means the pads are worn down but still have some life in them. Schedule an appointment to get them replaced before they completely wear away and damage the rotors, but it doesn’t need to be right away. Q: Do you provide detailed cost estimates? A: Absolutely. We’ll give you a complete quote that includes parts, labor and tax, so you’ll know the total from the start. We never surprise our customers with hidden or unexpected charges. Q: Will my repair last? A: Yes. To prevent problems from reoccurring, we take our time and diagnose each issue correctly from the very beginning. That way, we can focus on the actual problem and use high-quality, long-lasting parts to fix it. Q: Do I really need to keep up with my vehicle’s manufacturer-recommended maintenance schedule? A: In our experience, people who follow recommended maintenance schedules are able to keep their cars on the road longer and spend less money over time. Proper maintenance prevents breakdowns, helps retain maximum resale value and gets you the best fuel mileage, so it’s definitely worth it. Q: Is it safe to leave my car at your shop overnight? A: Absolutely. Our facility is very safe and secure. Q: Are you licensed to perform smog tests? 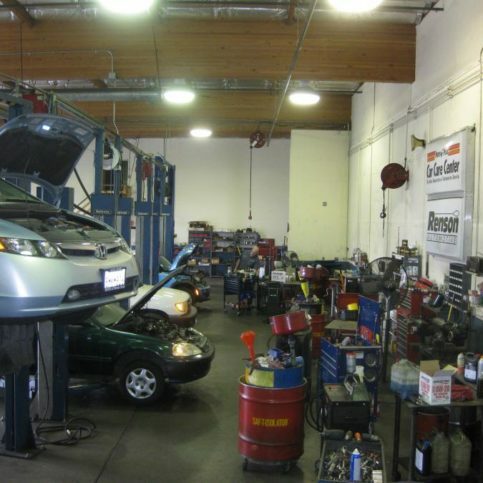 A: Yes, and we can even diagnose and repair emission systems that are tested by other shops. 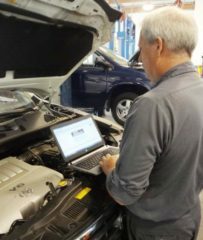 SELECTED PHOTOS FROM Renson Automotive, Inc.
Bill Faulconer uses modern computer diagnostic equipment on a customer’s car. Bill Faulconer is a 39-year veteran of the automotive industry and president of Renson Automotive, Inc., a Diamond Certified company since 2002. He can be reached at (408) 840-3977 or by email. A: Definitely a dog person—we have two golden retrievers. A: Sit in front of a real wood-burning fire. A: When I was a child, my nickname was Bill-Bill. Since my dad and I share the same name, Mom got tired of calling one Bill and having us both answer. A: Easter, because of my faith. A: The past. There were a lot of quality people who came before us, and I think we could gain a lot of insight from them. To maintain the air pressure in your tires, you’ll need a tire pressure gauge. Pocket gauges are simple and inexpensive, but a digital gauge offers improved reading accuracy. After removing the valve cap, use the gauge to check the air pressure and make sure it’s at or slightly above the manufacturer recommendation (this can be found in your owner’s manual or on the inside of the driver’s side door). An engine air filter helps keep the engine running clean by stopping abrasive airborne particles from entering the cylinders. In most cases, replacing an air filter is simply a matter of popping off the adhesive clips, pulling out the old filter and putting a new one in its place. Before replacing an air filter, determine whether replacement is necessary—even if the filter isn’t completely clean, it may still be functional for a while longer. Diamond Certified Expert Contributor, Bill Faulconer: Here’s a couple simple tips you can do at home very easily. First of all is tire pressure. Tire pressure is set by the manufacturer, a lot of them right around 32 psi, and that is the minimum strictly for comfort and what they feel is for safety. But by raising that pressure just slightly, you can get better fuel economy. And a simple way to do that is with a tire pressure gauge. Now, they make some pocket ones, they make some simple ones at home. We use a digital one. And just remove the cap, check the air pressure, and set it to at least minimum specifications, but your tire will give you a maximum pressure specification. If you run it closer to the maximum, you will get better fuel economy. The other simple thing is an air filter. Most air filters are very simple to replace. Pop a couple clips, lift it off. Now, this one is not extremely dirty, but you can see the dirt in there compared to the clean one. This is very minor. This is probably not quite ready for replacement, but every bit makes a difference. Host, Sarah Rutan: To learn more from local, top-rated companies visit our Diamond Certified Expert Reports at experts.diamondcertified.org. Diamond Certified RATINGS ON Renson Automotive, Inc.
Renson Automotive, Inc. : Average 9.5 out of 10 based on 262 unique customer surveys of customer satisfaction. If you need work done on your car, give them a call. They're helpful and I trust them. They always give me options on what to do and they fix my car. I've sent several people there. I find them honest, and the man who is at the front desk has a great sense of humor. They're courteous and they always seem eager to help. They seem to really care about their customers. They're wonderful. I think they're honest and they've always done a good job on my car. They were a little higher priced than others, but I found them to be a very good mechanic. They're very efficient. They always call to let me know what needs to be done and they get it done within a timely manner. I think they're really trustworthy and honest. I've been using them for years. They're reliable, honest, and fair priced. I like their service and the fact that they're trustworthy. I've been using them for years. They're honest, reliable, and fair. I like their attention to detail. It's a great place to go to. I like their friendly employees. It's a very quality outfit, they have very good prices, and they have an excellent staff. I like the way they handle their customers. I think they do an excellent job. Their customer service is great. I like that they answered all of my questions and they explained everything thoroughly to me. They seem to be dependable. I like that when you talk to them, you're talking to someone who understands what you're trying to describe. I'm always very satisfied with their work. 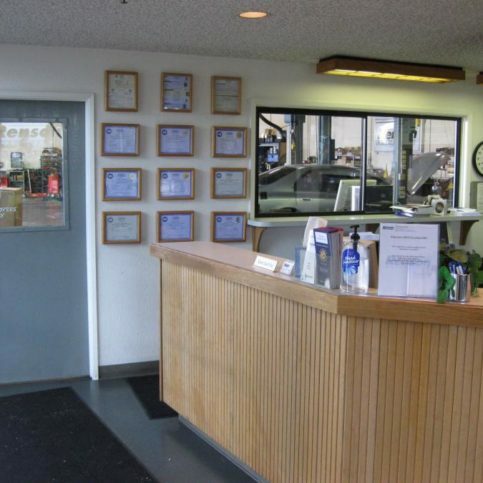 Their place is very organized, they are very clear in explaining what needs to be done to the vehicle, and they are friendly and to the point. I like how reliable they are. We've been using them for years. They're honest and they are good diagnosticians. They don't fix things that don't need to be fixed. They have my utmost trust and loyalty. The personal service and quality of work, they're perfect. They're trustworthy and I have confidence that they're going to get the job done right. I appreciate that I can trust them not to overcharge me, and that they won't do unnecessary work. They're a good place to go.